This printable color periodic table chart is lightly colored to separate the elements by their element groups. 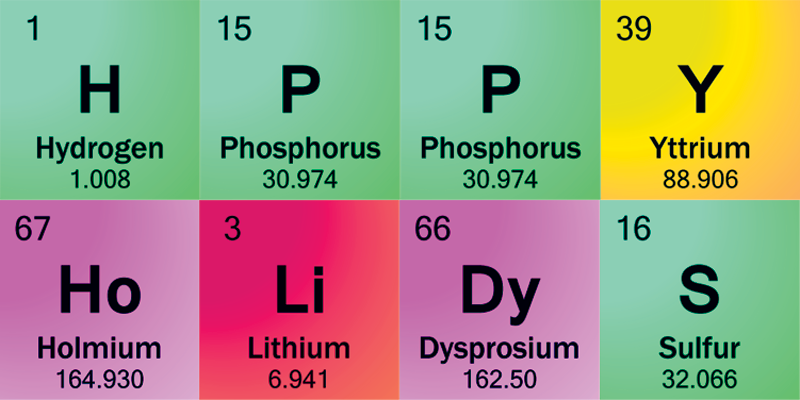 The table is current in 2015, with the latest IUPAC element information. The colors are bright enough to recognize element groups, but not so deep they block the lettering. 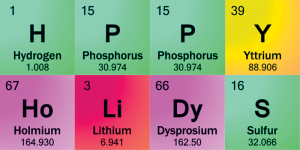 Each cell contains the element’s atomic number, element symbol, element name and atomic mass. The element groups are labelled and color-coded, with a key to identify the groups directly below the chart. This table is an updated version of Printable Color Periodic Table Chart. The corrections include revised atomic mass values and better graphic quality. The PDF of this table can be downloaded and printed on a standard 81⁄2” x 11″ sheet of paper. Just remember to choose ‘landscape’ and ‘fit to page’ as your printing option. The table is optimized to make best use of the space on a regular sheet of paper. Sometimes browsers update and cause printing weirdness. If this happens, try a different one (for example, try Internet Explorer if Chrome is giving you grief). This is outside our control, but we have found it works well. Let us know if you encounter any difficulties. A black and white version and an interesting white on black version are also available. The white-on-black sort of resembles a photograph negative — pretty cool. Both black and white periodic tables are easy on the eyes on a monitor or phone. 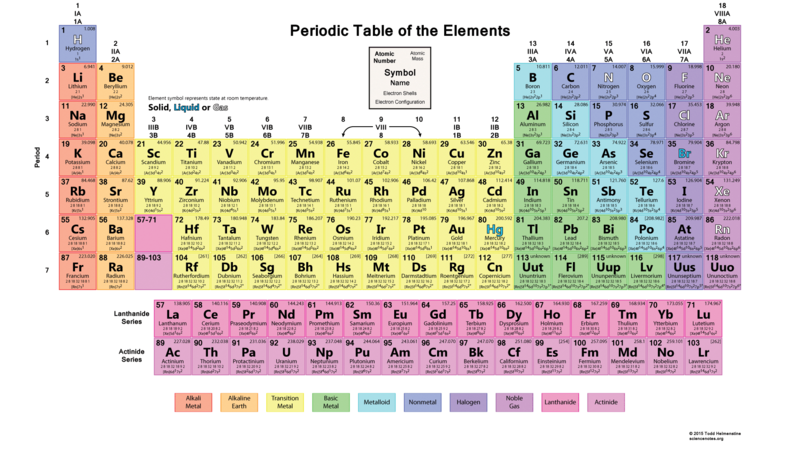 Another table you may like is this comprehensive periodic table, which includes electron shells and element states, in addition to the usual information. This is a terrific table to use if you need to look up a lot of information about the elements or compare them with each other. 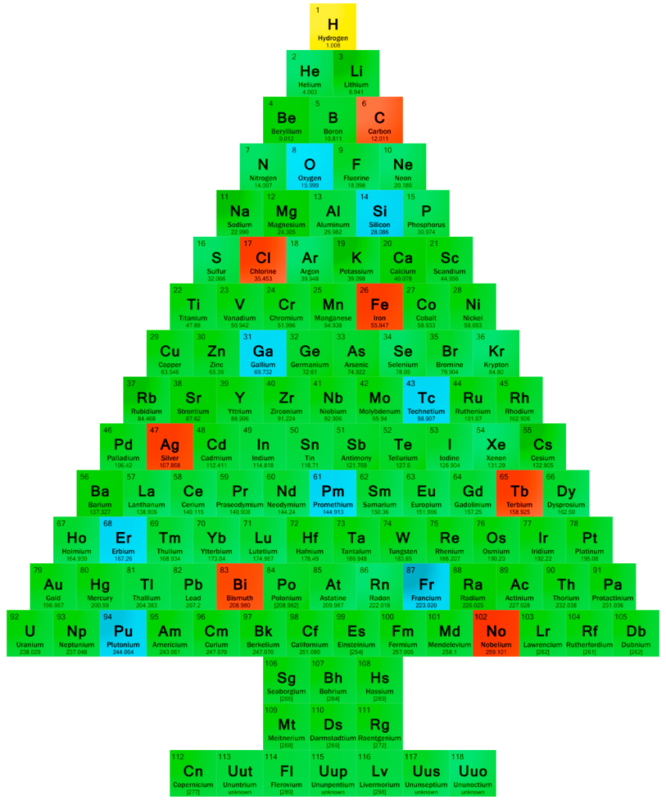 Check out our other Printable Periodic Tables including festive holiday tables. You can make holiday words (or swear words, if that’s your thing) using element tiles or even print the element Christmas tree. The Christmas tree table has a couple of different color variations. Let us know if there is another type of seasonal printable table you’d like to see! 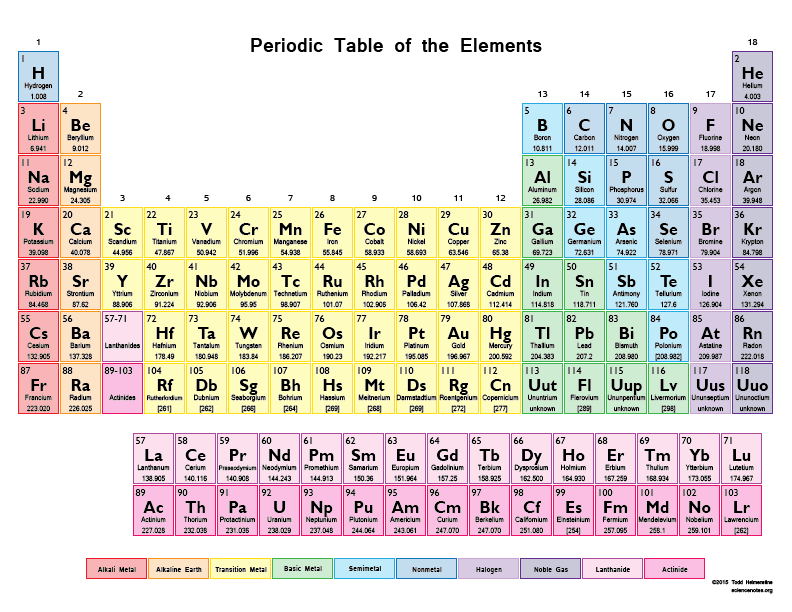 Here’s the featured periodic chart of elements. It’s a Christmas tree using elements for tree branches and decorations. 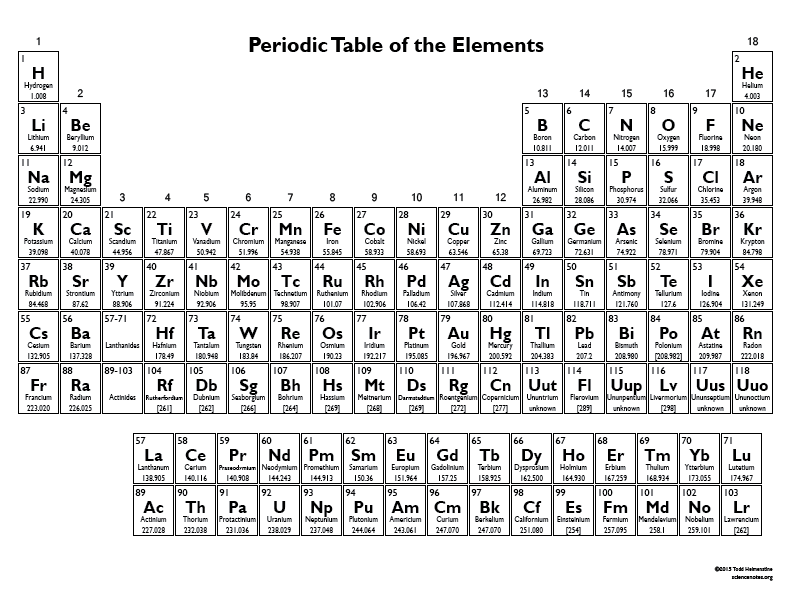 The elements are given in order of increasing atomic number.